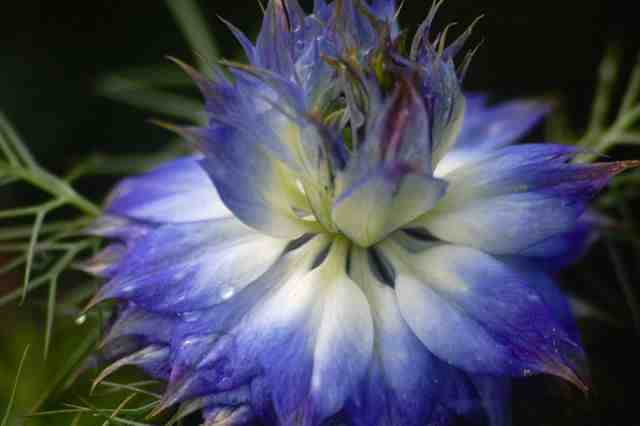 Nigella For The Cut Flower Patch. Nigella is perhaps better known as its common name of Love In The Mist…it’s an old school favourite and is reminiscent of old cottage gardens belonging to kind old Grannies and cats called Twinkle or Mr Burlington…but in fact our friend Nigella is not native to the UK at all but instead hails from the Mediterranean. As a cut flower Nigella are mighty fine, they last well and have amazing forms in both the foliage, flower and seed pods. 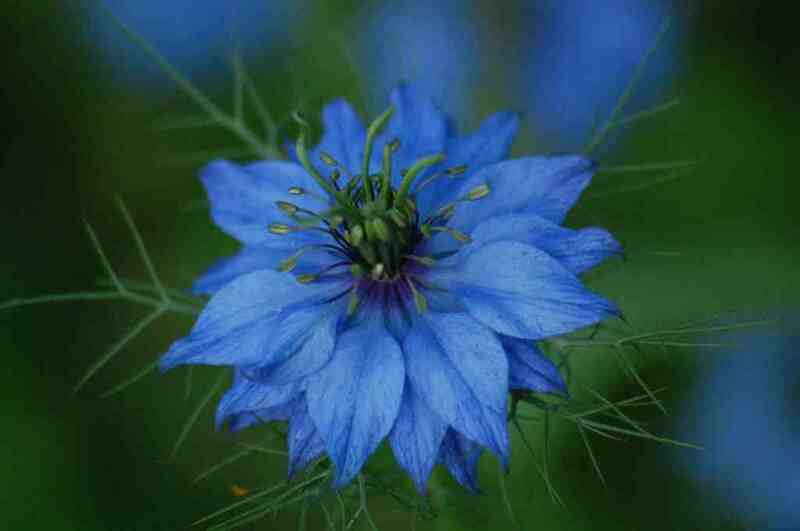 How To Grow Nigella From Seed. *Prepare your seed bed to a fine, weed free tilth in full sun. The soil doesn’t have to particularly fertile. *I sow mine in straight rows, this is the best way in the cutting garden but you can also simply scatter the seeds if that is your want…they love growing on gravel drives. *Don’t sow too deep…3ml is fine. *I sow the first batch at the beginning of April…and then further sowings every few weeks until mid May…and then an autumn sowing too…for earlier plants the following year. *Keep the seed bed moist whilst they germinate and become established. *Thin the seedlings out to about 6 inches. *Some folk start them off early indoors…I don’t bother…they don’t seem to like the transplantation…and who can blame them…and either way you only get them to flower a couple of weeks early for a lot of extra work. *Slugs might try and give them a nibble when at the seedling stage but when your plants are beyond this then the slugs generally naff off to have a go at your calendula. *Keep picking your flowers for the vase and the plant will keep producing more and more. *Once you get a patch established they will self seed year in year out. Introduction To Annual Flowers. 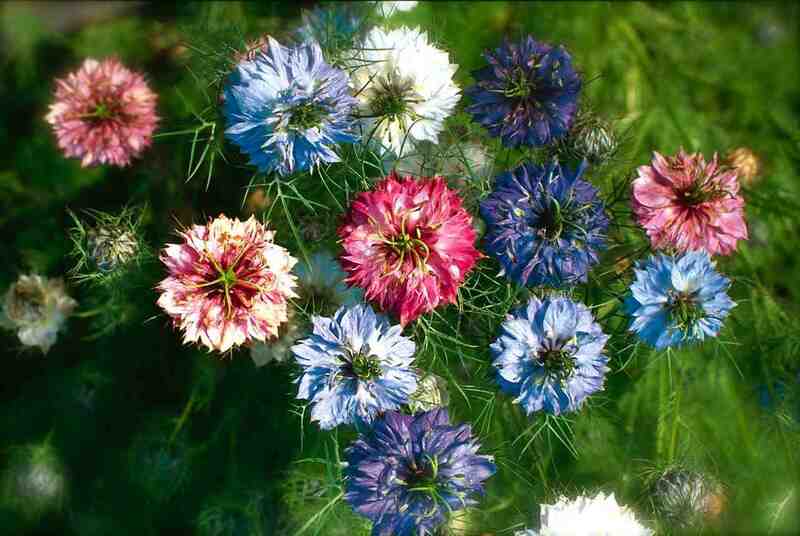 The Best Cornflowers For Your Cut Flower Patch This Season.